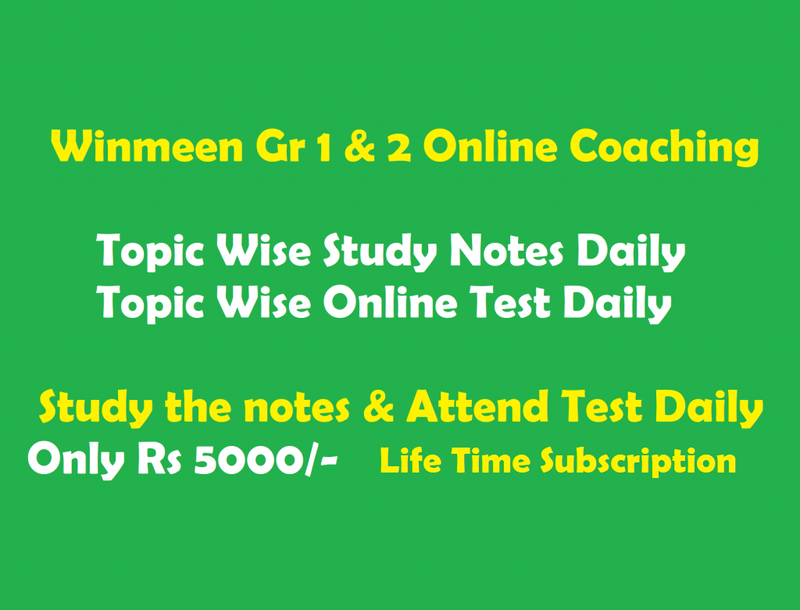 Dear winmeen visitors, here we comes with Tnpsc Group 2A GK in English Online Mock Test 5 for english language selected candidates. We request all the aspirants to attend this exam to get more marks in upcoming tnpsc group 2A exam 2017. Here you can check your correct answers once completing online test. Selective expected questions are provided. Please comment below about these questions and suggestion are invited. A small metal ball is suspended in a uniform electric field with the help of an insulated thread. If high energy X-ray beam falls on it. Who said that "Financial emergency provisions were serious threat to the financial autonomy of the states"
In LCR Circuit, The capacitance is changed from C to 4C. To obtain the same resonant frequency, the inductance value has to be changed to which of the following L values.